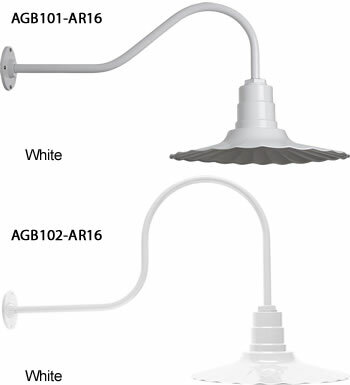 Powdercoat finishes have reflective white interior. Die cast aluminum with 1/2" N.P.T. or 3/4" N.P.T. accepts conduit pipe or cord strain relief. 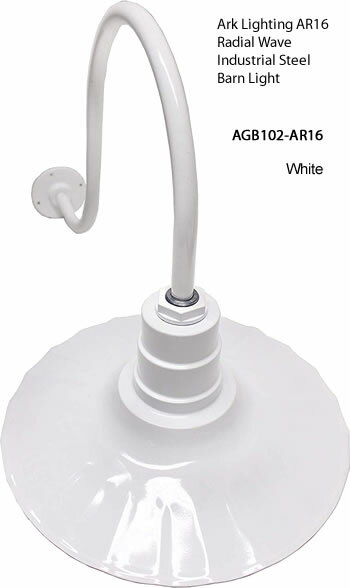 Two-piece heavy duty ceramic medium base socket. 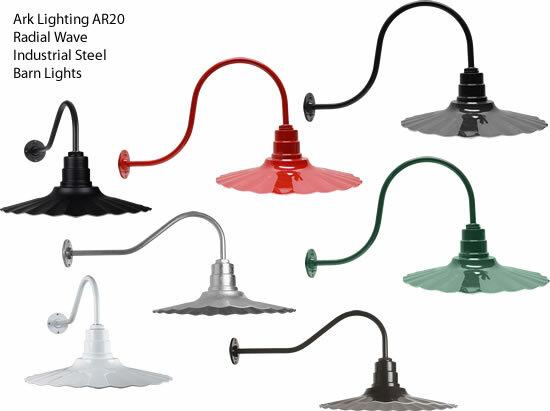 Heavy gauge cold rolled steel, zinc plate and coated with genuine powder or electro plating. Galvanized finish is hot zinc dip. 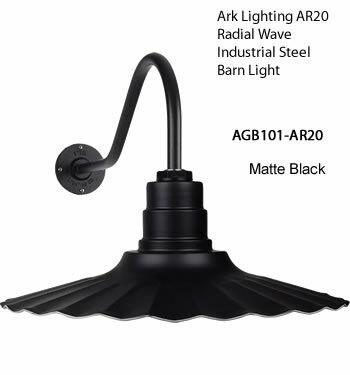 Ark Lighting's Radial Wave Series is completely authentic. 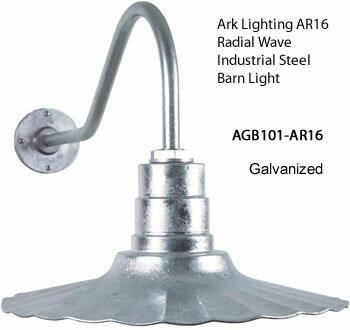 This is the lighting you see in the old photos of farm houses, barns or gas stations. 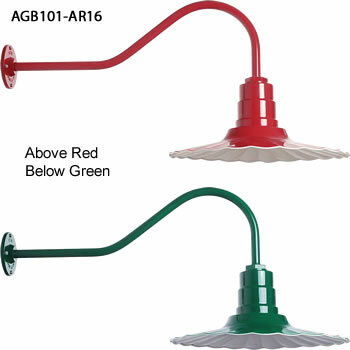 The Radial Wave has a 23 inch stem or gooseneck and a 12 inch, 16 inch or 20 inchshade. 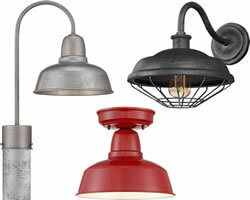 It is available galvanized or powder-coat paint finished in a variety of colors. The finish is applied to all surfaces, inside and out. Available in other sizes and as a pendant. Also available as a pendant. 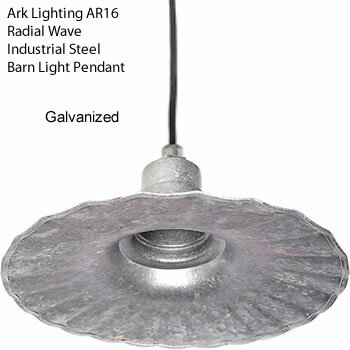 Ark Lighting's Radial Wave Series is completely authentic. 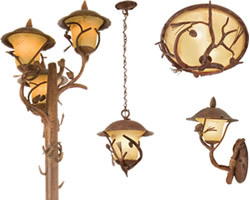 This is the lighting you see in the old photos of farm houses, barns or gas stations. 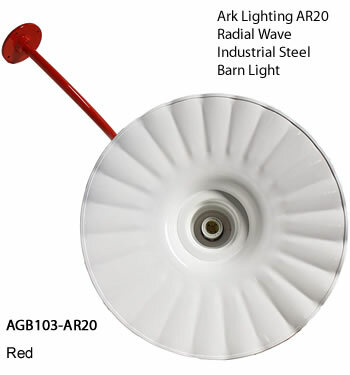 The Radial Wave has a 12 inch, 16 inch or 20 inchshade. 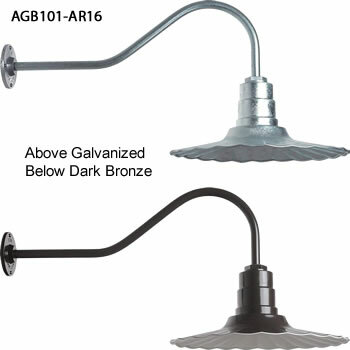 It is available galvanized or powder-coat paint finished in a variety of colors. The finish is applied to all surfaces, inside and out. 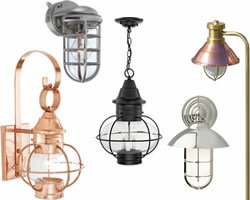 Available in other sizes and as a wall mount light.